In its research and teaching, the Department of Government primarily focuses on comparative European and Austrian politics. Its research is concerned with political behaviour, political actors, such as political parties and politicians, political institutions, the processes governed by these institutions, as well as their outcomes. It includes work on political participation, voting behaviour, parties and party competition, coalition politics and Austrian politics in general and is mostly based on rationalist and behavioural approaches. Our goal is to conduct high-level, internationally competitive research in the area of Comparative Politics. At the Faculty of Social Sciences the department is mainly engaged in the key research area ''Political Competition and Communication: Democratic Representation in Changing Societies'. The department’s approach places it in the discipline’s empirical-analytical core and is mostly based on quantitative social science methods. To map empirical phenomena accurately, researcher in the department focus on the continuous development of survey design, as well as on the analysis of empirical data by applying the best suited statistical model. 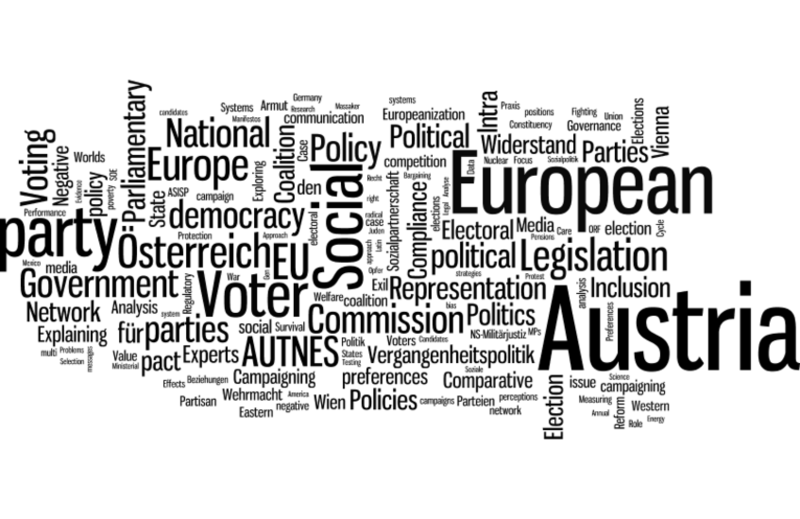 The department aims to achieve the best work on Austrian politics and to make important contributions to the international academic literature on Comparative Government and Politics. An overview of current publications and activities at the department can be found below and on the personal websites of our team.